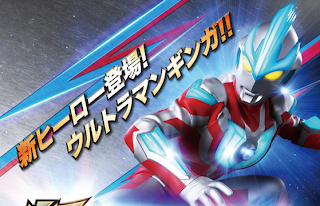 Bandai Japan's Youtube channel started streaming the latest promo for the recently released DX Ginga Spark showcasing the transformation using the sofubi Spark Dolls called Ultra Hero 500 Series and Ultra Kaiju 500 Series. DX Ginga Spark represents the device that will enable our youngest hero, Hiraku Raido to change into Ultraman Ginga in New Ultraman Retsuden. The toy is already in retail this July with a pre-order price of 3,050 yen. Spark Dolls are used on the Ginga Spark allowing the user to utilize the power of either Kaijus or other Ultramen. The Spark Dolls are about 140 mm in height and sold at 525 yen each. You can also purchase this as a set for 12,600 yen according to Bandai's official site.